When it comes to combining natural beauty and man-made brilliance, few places can master the magic of Costa del Sol. Known as the “Coast of the Sun”, the region epitomizes the magnificence & beauty associated with Andalusia, in southern Spain. 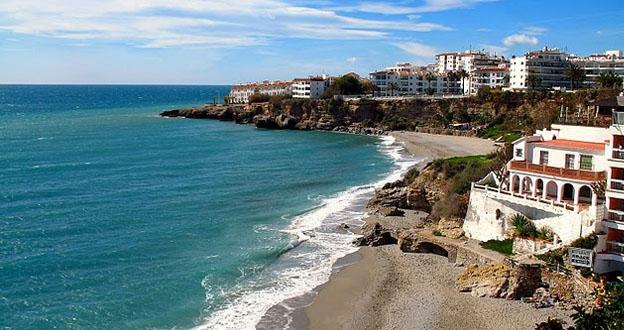 From a line of tiny fishing villages to one of the hottest tourist destinations in the world, Costa del Sol has come a long way. Today, it is the place to be for Sun, sand, countryside, relaxation and parties that outlast the night! Blue waters, white &black sand beaches, plenty of sunshine and thousands of places to eat, drink & make merry – that is what Costa del Sol offers to travellers. Almost every beach is lined with a world-class board walk, like the Balcon de Europa, bringing to you the best of world & Spanish cuisine, boutiques and so much more. From the San Pedro beach to the Playa Neuva Andalucia, you can spend weeks in the region’s sandy parts and still not see them all. Walking through the towns and cities along the Costa del Sol guarantees an encounter with some magnificent historical monuments and castles from ancient & medieval dynasties. The region has been occupied by numerous empires– Phoenicians, Greeks, Carthaginians, Romans, Vandals, Visigoths and the Moors – all before the 800-year long Reconquista. The Costa del Sol has castles &palaces strewn all over, each with its own unique character and visual appeal. The white castle at Las Murallas del Castillo is a wonderful example of the incredible monuments that draw crowds in the thousands. Where there is natural beauty, there are artists! 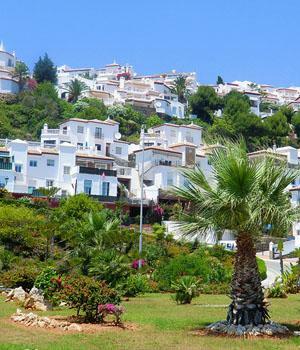 Andalusia is one of the most beautiful parts of Spain and the Costa del Sol is the pick of the Andalusia-bunch. Artists come down from all parts of the world to allow the region’s beauty to invigorate their senses and inspire their creations. For those who are interested in art, you cannot imagine a better collection of galleries that host works by Salvador Dali, Picasso and almost all other fantastic artists from around the world! When visiting any place, you think about the place you stay and how it may enhance your travel-experience. At the Coast of the Sun, there is nothing that you cannot find,in hotels that fitall kinds of budgets. From the swankiest resorts to the cheapest over-night stop-overs, you can find everything you need in Costa del Sol. Spectacular restaurants, world-class bars, breathtaking views, relaxing swimming pools, life-changing massages and everything else that you can ever imagine –Costa del Sol’s hotels are all about the good life and letting you enjoy the region in its finest avatar. 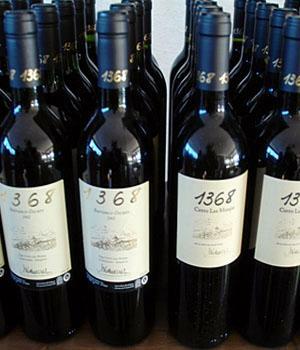 Andalusia is one of Spain’s premier wine regions, with acres of cascading vineyards lining the beautiful hills. Combine that with the influx of millions of tourists every year and the Costa del Sol becomes a paradise for food and drink lovers. European, Mediterranean and, pretty much, world cuisine – everything is on the menu in the region. From street food at one of the board walks’ stalls to fancy dining at award-winning restaurants, you will find everything in the streets of the Costa del Sol. Whether in the bigger cities or just the smaller towns, wonderful restaurants and food carts fill the air with the aroma of local & international delicacies. Family time at the Sunny Coast is almost as much fun as anywhere else in the world. Sign your family up for one of those guided tours, in Cordoba, Granada, Malaga or Seville, and you will find plenty of ways to keep the kids entertained. Some of the best museums in Europe populate this region – more reasons for a family-trip! Ah!!! Those playful little creatures from the deep blue sea, dolphins are abundant in the beautiful blue waters that surround the region. You can stand on one of those many cliffs and peer down at the sea catching a glimpse of nature’s naughtiest creatures from afar, or simply hire a boat and head down to the waters, grabbing a view from up-close. Swimming with these wonderful fish can also become a part of your itinerary if you head on down to one of the many piers that dot Costa del Sol’s wonderful coastline. 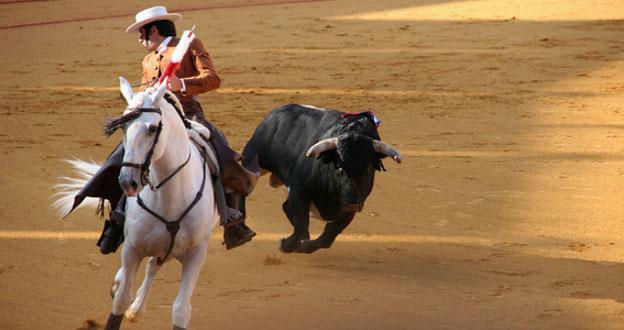 Bullfighting is one of the sports on view in the region. While the sport may soon be banned in other parts of Spain, Andalusia continues to offers its fans a place to view this ancient sport. Not something normally associated with Spain &Andalusia, the Costa del Sol region boasts an incredible number of theme parks and casinos. Aqua Park, the biggest and most popular theme park, is located near Torremolinos and attracts the biggest family crowds in the region. If you are looking for entertainment for the older generation, Costa del Sol has casinos for players with varied interest levels – from serious gamblers to simple leisure-seekers. A short trip along the many boardwalks in Malaga, Cordoba, Seville or Granada reveals a plethora of shopping options for the tourist. Costa del Sol has fancy designer boutiques for those looking to get-in on the latest fashion trends while local stores offer a more-homely approach to the shopping experience. From locally-made produce & handicrafts to international brands, everything is served on a platter at the Coast of the Sun. If you are planning a trip to Spain and still haven’t made up your mind on where you’d like to end up, give the Costa del Sol a good thought. Chances are, you’ll keep going back for more!